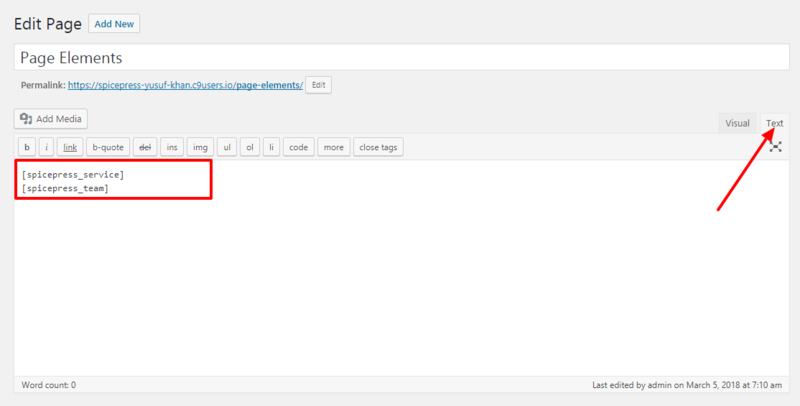 If you are using SpicePress PRO you can to show your Homepage sections on another page very easily. You will first need to recreate the current homepage. To do that, you can use the following shortcodes for each section. Create a new page using the Full Width Page template.